Q. How do I find books and other materials in the Learning Resources Center? 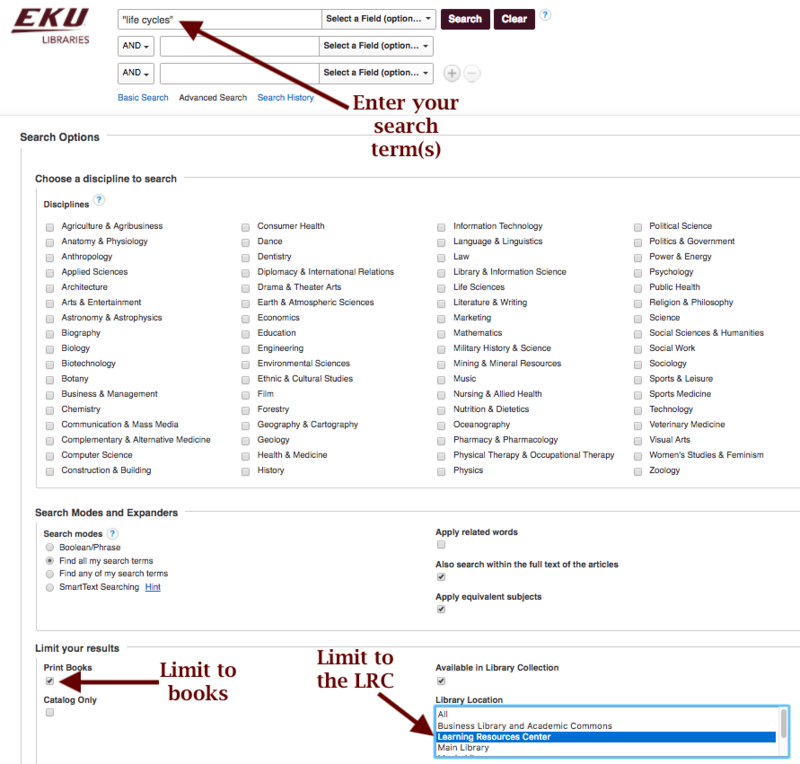 Step 1: From the library's home page (library.eku.edu), choose "Advanced Search." Step 2: Enter your topic/search term(s). If you only want books, use the limiters to restrict your results to only LRC books. Otherwise, only restrict the location to the Learning Resources Center so you can find videos, puppets, models, games, and more. Step 3: In your results, note the item type, location, call number, and availability.